Portable Filters vs Plumbed-In Filters – Which One to Buy? Portable water filters are very en vogue right now, and rightfully so – they’re easy to use, you can place them anywhere, and you don’t need to bother with installation. 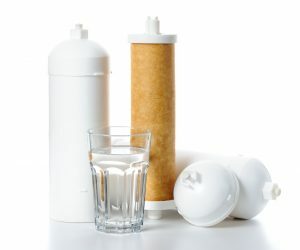 Stand-alone water filters are preferred by travellers, hikers, or people who can’t or won’t tinker with their plumbing system just to install a water filter. But are these filters better or even comparable to plumbed-in water filters? Are they a better choice for at-home water filtration, or are they better suited for travelling instead? To get you the answers, we’re comparing plumbed-in water filter systems to portable ones to decide which is a better choice for most homeowners. Portable Water Filters – How Do They Work? As opposed to plumbed-in systems, portable units don’t usually rely on water pressure to filter water. Their mechanism of action is usually different from that of pressure-based systems. We say usually, because there are some exceptions. For example, water filter bottles that feature a hand pump to create pressure or stand-alone filters that require electricity to create pressure. However, the most typical example of a portable unit is a gravity water filter, which is a completely stand-alone model suitable for off-the-grid use. What this essentially means is that these units can be set up anywhere (even in the outdoors) without having to worry about things like installation, incoming water pressure, or access to electricity. The lower chamber is where filtered water ends up. The filters of these systems are called filter candles or filter elements. Usually one end of the filter has a domed shape and it’s completely closed off, while the other end is open. Water penetrates the filter candle from the outside in and slowly drips into the lower chamber through the open end. These filter candles are made of ceramics and usually feature a carbon block insert that further removes contaminants from water by adsorbing them. 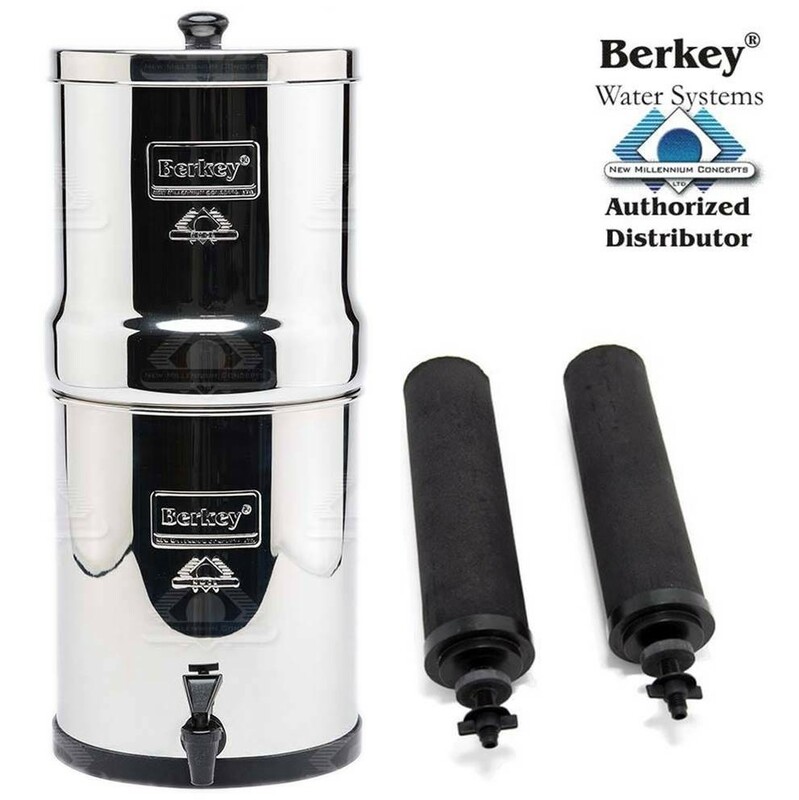 An example of great off-grid filter is the Go Berkey (0.95 L) Portable Gravity Water Filter System, which is extremely compact and easily transportable. 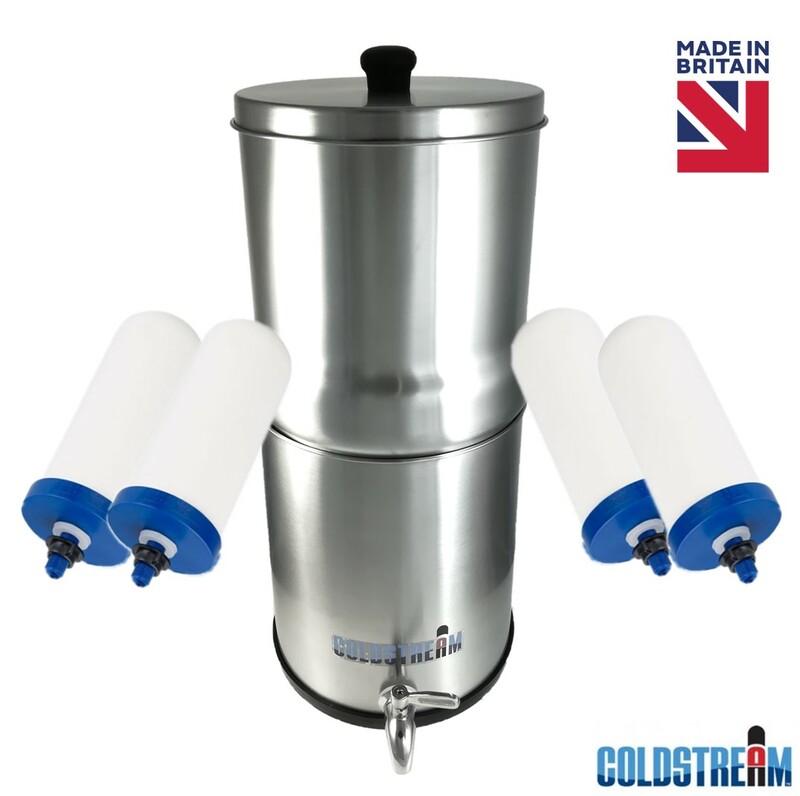 If you’re looking for a bigger unit, check out the Coldstream Sentry Gravity Water Filter System, which has a higher capacity and it’s suitable for a group of 3-4 people. You may wonder whether gravity filters are suitable for filtering out contaminants that are dangerous to health? Or do they only remove a very limited number of water impurities that don’t affect health in any way? Heavy metals, MBAs, sediments, rust, silt, etc. In fact, gravity filters can be trusted to purify water sources like rainwater, water sourced from lakes, rivers, streams and the like. This makes them a suitable water purifier in emergency situations as well as in remote areas that are entirely cut off from municipal water supplies. Plumbed-In Filters – How Do They Work? Pressure based filter systems are plumbed into the water system in your home or, at the very least, rely on electricity to create water pressure. Plumbed-in systems require some level of installation that can be carried out with or without the help of a plumber (it depends on how skilful you are). Incoming water pressure forces water through the tiny pores of the filter media, stripping water of sediments, chemicals, organic matter, viruses and other contaminants that the filter media is designed to remove. Therefore, plumbed-in systems cannot operate without incoming water pressure unlike gravity filters, which rely solely on the force of gravity to “pull” water from the upper chamber into the lower chamber. However, their reliance on water pressure isn’t what stops plumbed-in water filters from becoming portable. The hassle of installation and the fact that they’re completely useless as stand-alone filters is what makes them unsuitable as a travelling filter. The Comparison: Which System is Best? Comparing plumbed-in systems to portable ones feels a bit unfair since they’re designed for very different use cases even though they ultimately serve the same purpose — purifying water. Let’s examine each of these criteria one by one. Both types of filters can remove a wide range of contaminations issues with highly comparable results. Of course, you shouldn’t compare a taste and odour filter to a gravity filter, but if you would take two systems designed to remove the same types of contaminants, you’d have comparable results. It’s no secret that gravity filters are slower than pressure-based ones, and consequently their filtered water output per day is much lower. Therefore, flow rates take a hit in favour of transportability when it comes of portable systems. If we interpret the stages of filtration as individual cartridges that contain different filter media, then pressure-based system take lead in this round. Due to the limited space in the filter chamber and the way gravity filters operate, there is no option to let water pass through different stages of filtration. The only way that this can happen is to combine various filter media in the same system, which gravity filters already do by using ceramic filters with activated carbon inserts. With plumbed-in systems it’s quite common to have water pass through various stages of filtration, which are essentially different filter cartridges with different filter media. Although there are single-stage filter cartridges in pressure-based systems as well, multi-stage filtration remains a preferred option for many. Both types of systems are extremely easy to use. With pressure-based systems, you simply turn on the tap and get filtered water instantly. Portable filters are just as easy to use. Things are different when it comes to installation, however. While portable filters only require a simple installation, plumbed-in systems require some more extensive installation work. Multi-stage filters are a bit more maintenance-intensive than other systems on account of having to replace multiple cartridges. Other than this, there aren’t any significant difficulties in the maintenance of either system. The service life of filter cartridges ranges from 3 months to 12 months, depending on the brand and type of filter you have. That said, you’ll find cartridges with the same service life in both filter categories. If transportability is important to you and you want a filter that you can use independently of any water pressure, portable systems are a good option. If you want a filter exclusively for at-home water filtration, plumbed-in systems are the way to go. This is not to say that portable units cannot double as a countertop filter in your home, it’s just that pressure-based systems are a lot more convenient in this setting. While gravity filters, for example, can be used for at-home filtration, plumbed-in systems cannot be used for on the road filtration. Therefore, each system is best in the particular use case they’re designed for. This portable reverse osmosis system can be a great compromise between the two types of systems, particularly for those who are looking for a portable unit that doesn’t require installation, yet it doesn’t need to be an off-the-grid solution. That’s because the Osmio Zero requires electricity even though it doesn’t need incoming water pressure. 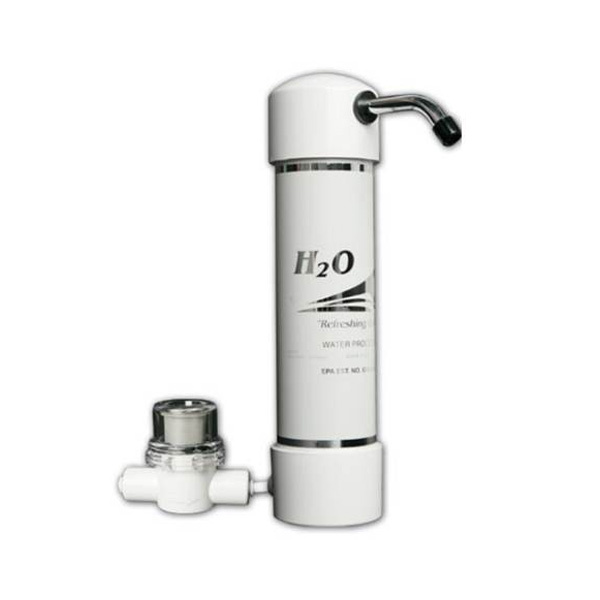 Either way, this portable reverse osmosis system is a revolutionary new filter that’s an elegant and efficient alternative to other pressure-based filter systems. Besides offering filtered water, it can also provide hot and boiling hot water at a touch of a button. The filter is incredibly easy to use and convenient, and features four filter cartridges: sediment filter, activated carbon filter, reverse osmosis membrane, and a hygiene after filter. All filter are quick change filter cartridges for a quick, clean and easy filter changeover. The system removes viruses, bacteria, chlorine, sediments, unwanted flavours, and other water pollutants. As you can see, there are plenty of options when it comes to getting rid of unwanted water pollutants. Whether you need a filter on the go, or you just simply need a filter for your kitchen, there’s a filter that’s designed to meet your needs. And if you like both options presented in our article, who says you can’t have both? One plumbed-in filter for at-home filtration and one gravity filter or water filter bottle for when you’re travelling.